Our frog won 3rd place in the triple jump. 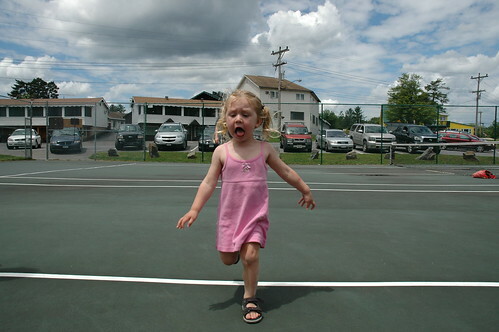 As you can see, Evelyn found the whole thing rather exciting. 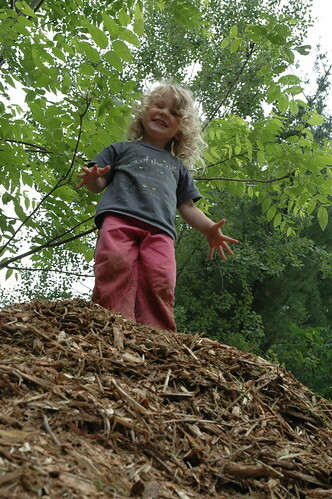 Evelyn is king of the castle. Definitely not the queen. She assures us. 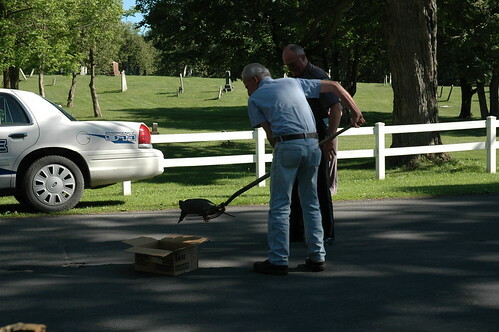 That’s my box, my neighbor, my village cop and “my” turtle. 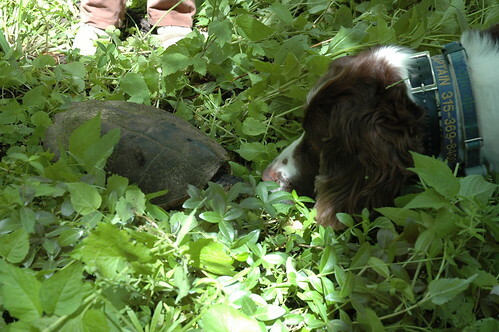 This is something you probably shouldn’t let your dog do with a snapping turtle. 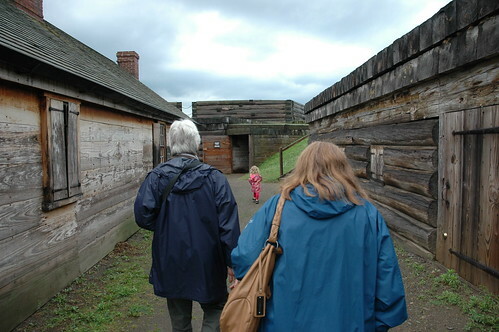 We went to Ft. Stanwix today. Somehow we managed to avoid all of the downpours and had a very nice time.